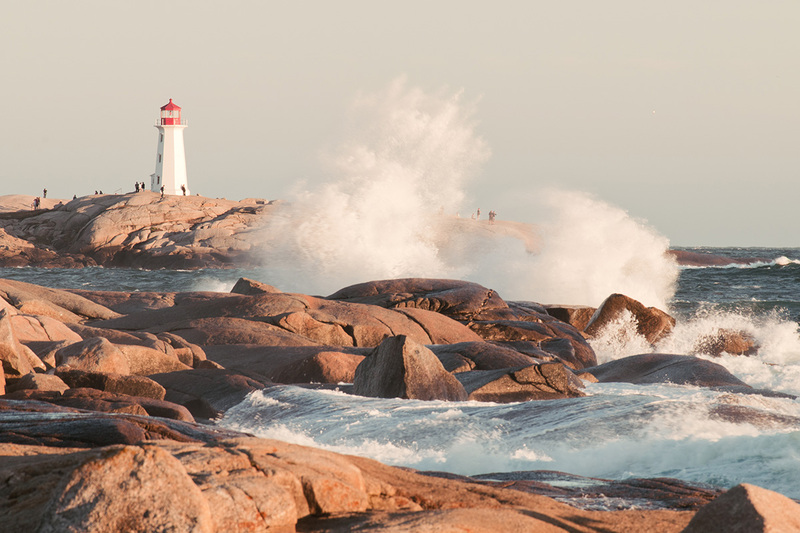 As the summer begins, any of the North American coasts are a great option: Quebec, British Columbia, New England, Washington and Oregon are among the best places in the world for whale watching. 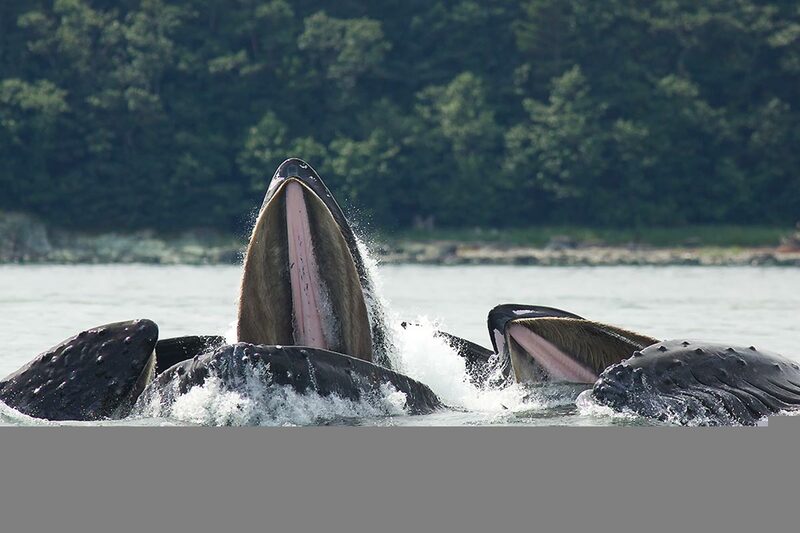 The eastern coast of Canada is the centre of the country for whale watchers. There's great coastal roads and national parks, too. Canada’s Pacific Coast is rough and wild. 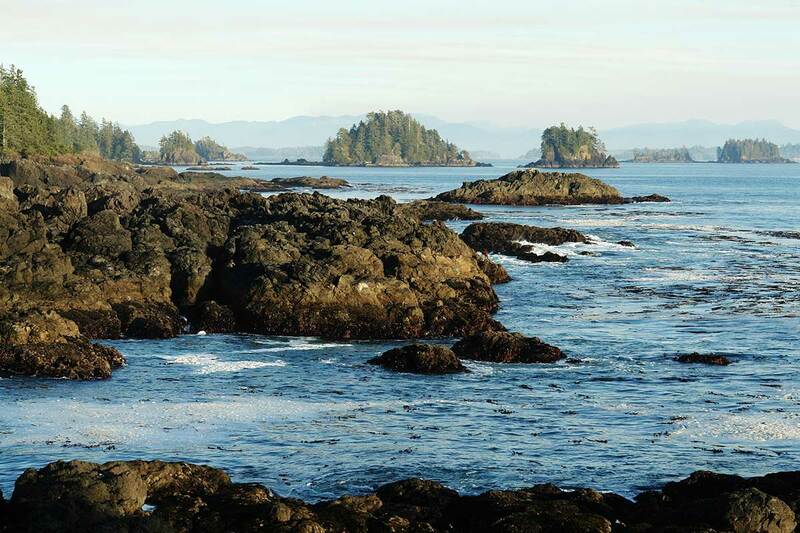 And it has orcas, gray whales and humpbacks – along with rainforests full of bears and cougars. 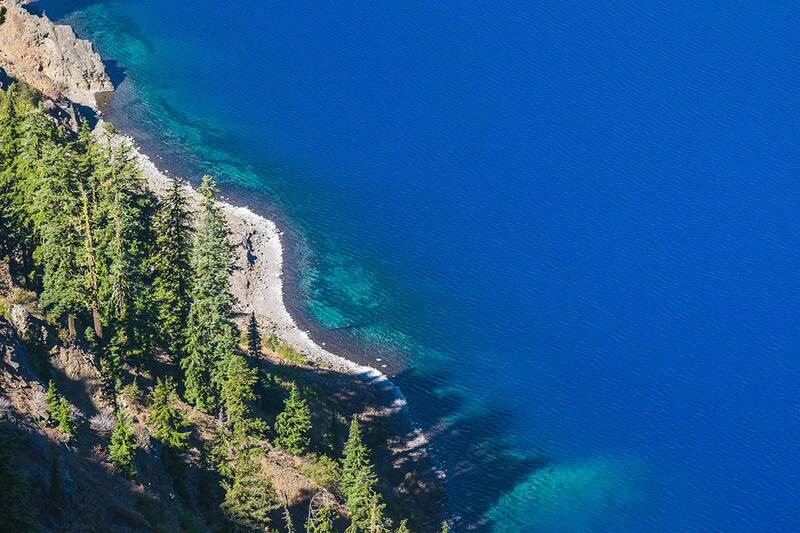 Washington and Oregon have monoliths, volcanoes, giant redwoods and the clearest lake of the country. And gray whales! And orcas! 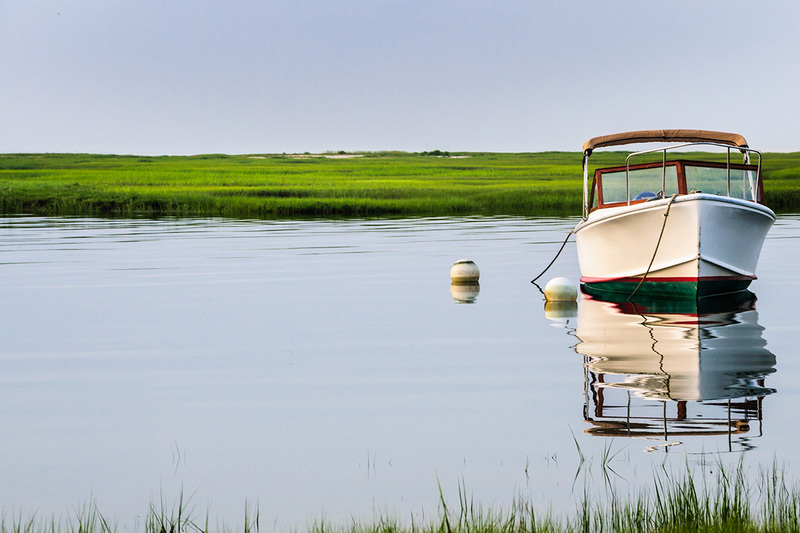 Cape Cod is the most elegant and exclusive seaside resort along the US East Coast – and also perfect for humpback safaris. 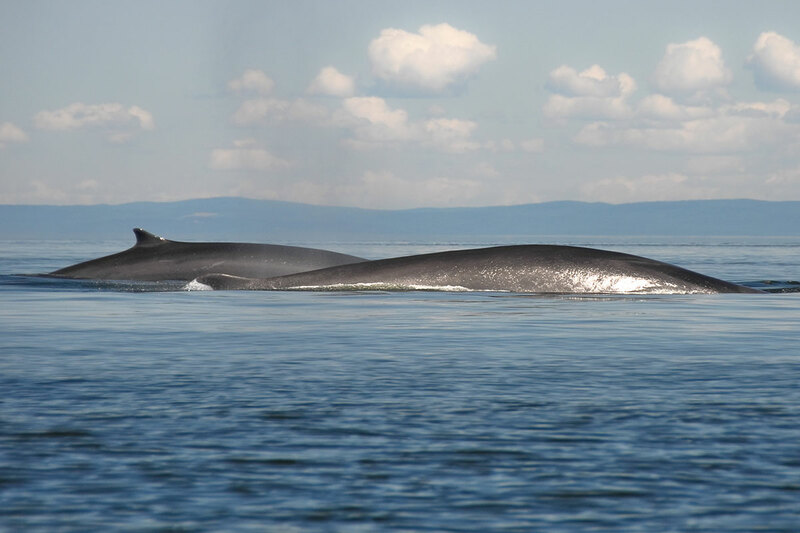 While you'll meet orcas and gray whales only on the west coast, belugas, blue whales and fin whales are met only at the east coast. Humpbacks are everywhere! Humpbacks are widely spread. During summer you'll see them best in New England, Quebec and British Columbia. 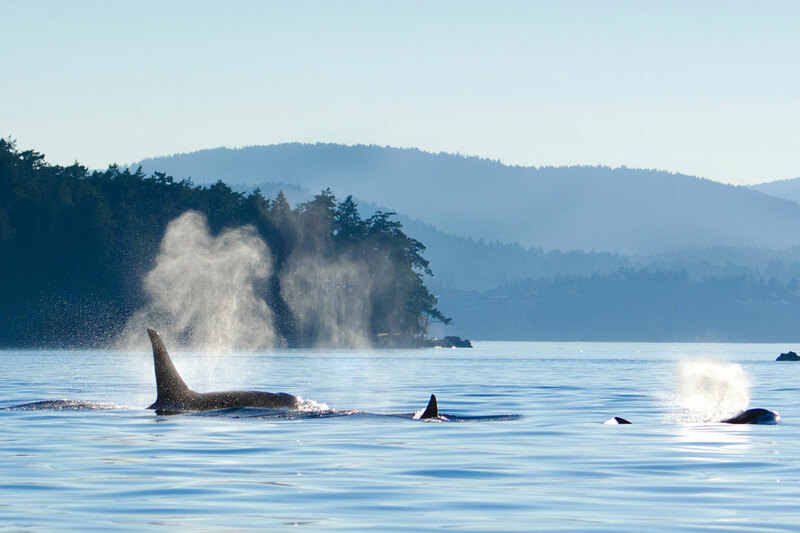 The orca season is about to start. Meet them all along the west coast - best in Washington and British Columbia. 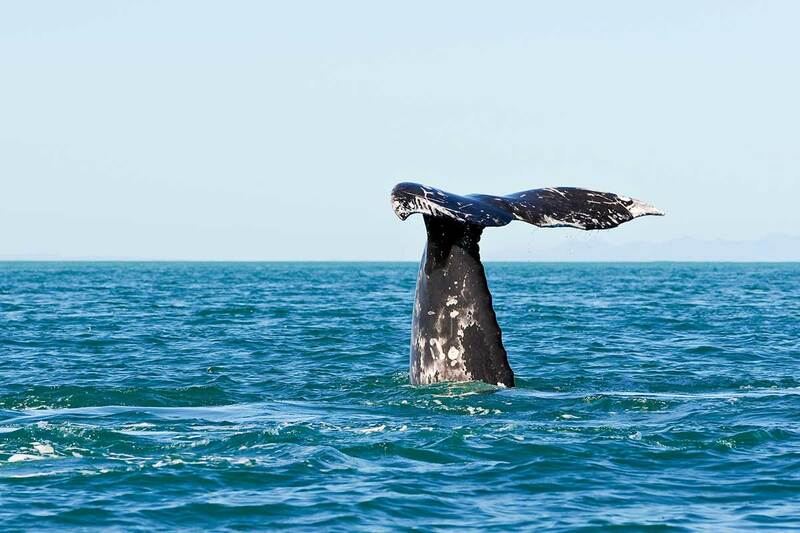 Gray whales can be seen during the whole summer - but only on the west coast. Best in Oregon and British Columbia. 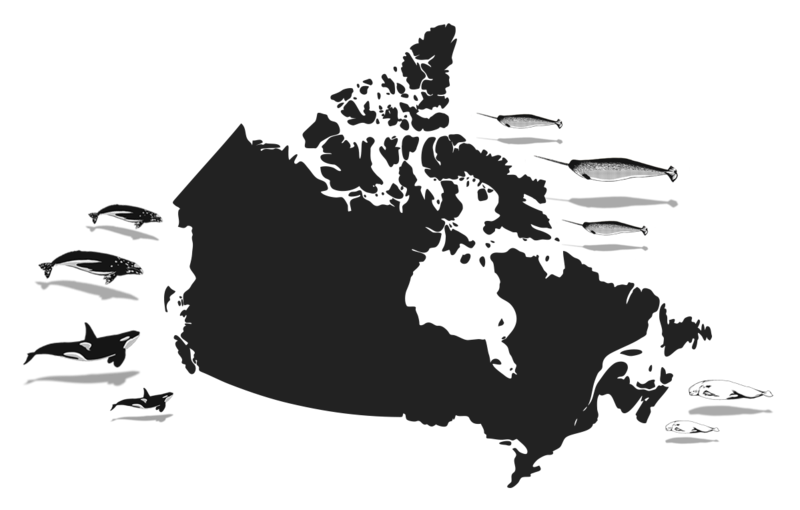 Quebec is well known for it's many finbacks. You can see them all summer - best from the Gaspesie peninsula. 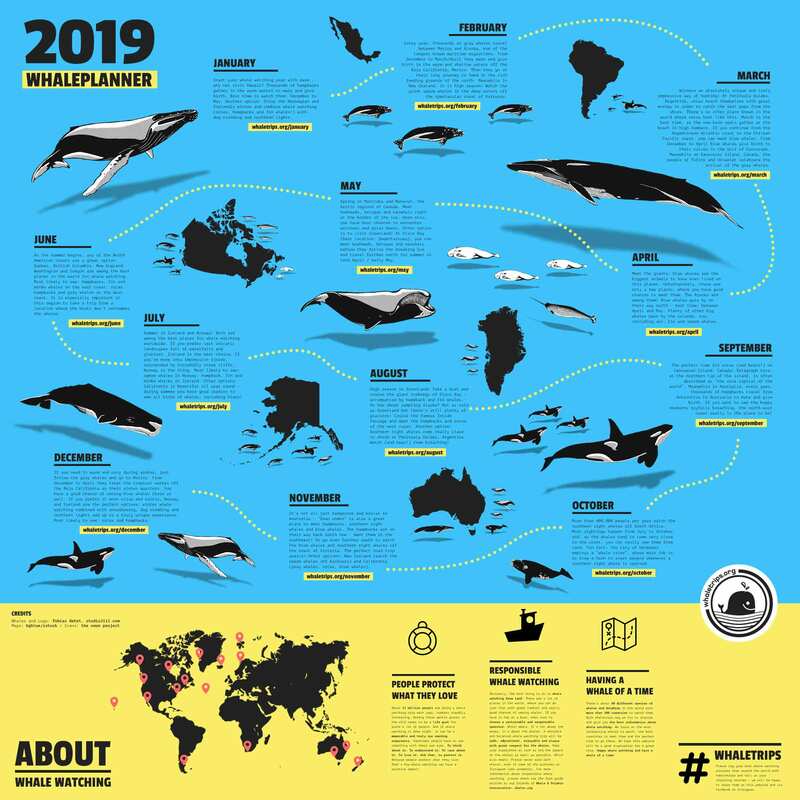 One year of whale watching in just one infographic! Learn where to go, when to go and what to see. Plus: Download the whole thing for free. The 2019 whale planner! Browse the web version and easily learn where to go, when to go and what to do. Month by month. The whale planner 2019!  To download the full whaleplanner as a graphic, please just click this link and save the graphic on the next page. And of course, feel free to share it with your friends who might be interested in seeing whales!